– Up to 100ml tea (brewed and cooled a little until it is warm, not hot). 1. Mix the dried cranberries with the orange zest and 1/4 cup of the orange juice, set aside to soak. 2. Put the flour into the bowl of your shiny new mixer with the dough hook attachments. Add the salt to one side of the bowl, and the yeast to the other. Add the melted butter, beaten egg, maple syrup, the other 1/4 cup of the orange juice, and about three-quarters of the tea. 3. Set the mixer on low initially until it is combined, and then switch it higher and leave it mixing for several minutes until it turns into an elastic, sticky dough. Add more tea during the mixing process if the dough becomes too stiff or loses its stickiness. 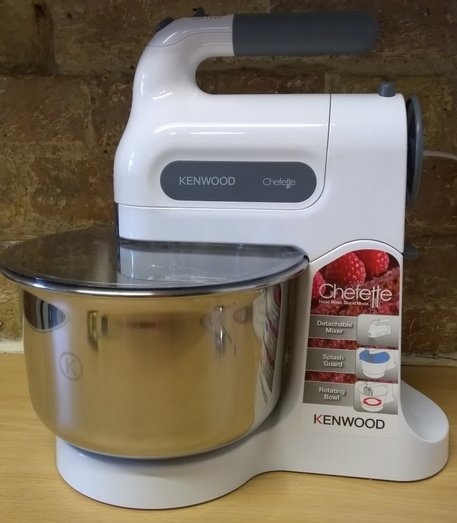 If you don’t have a shiny new mixer with dough hook attachments, then you could knead the dough on a floured surface, but it is quite a sticky dough, so it won’t be that easy. 4. Place the dough into a lightly oiled bowl, cover and leave to rise in a warm place for about an hour. 5. Turn the dough out onto a lightly floured surface, press it down. Spoon the soaked cranberries onto the dough (if there’s a lot of excess liquid that wasn’t absorbed by the fruit, leave it behind). Knead the fruit into the dough. 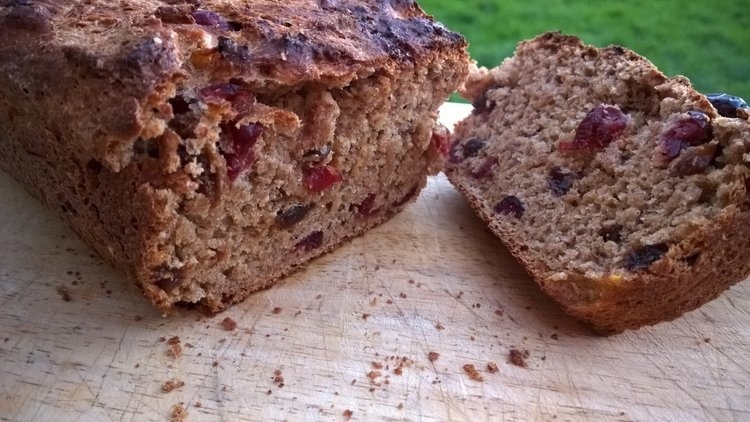 You’ll probably need to work more flour in as you go because the fruit will be very wet. Once it is well combined and the dough feels still a bit sticky, but workable, place it back in the oiled bowl, cover and rise it in a warm place for another hour. 6. Shape the dough and place it into a loaf tin, put the tin inside a plastic bag (or cover loosely with lightly oiled cling wrap), and leave it in a warm place to rise for an hour again. 7. Place the loaf into a preheated oven 200C/390F for about 25 minutes until it sounds hollow when tapped. 8. Take it out of the tin and cool it on a rack. Can be served warm or cold, sliced thickly and spread with butter. Omg. My boss was given one of these for christmas last year which she shared with her two lovely employees. It was just gorgeous. So ive gone from having never heard of it to seeeing it twice in a matter of weeks. Yum! !